Rob Bell has a new book coming out on March 12, 2013. I think it's unlikely that this book will stir up the same kind of controversy as Love Wins did (if you haven't read that one, you should), but I am sure that it will be provocative in its own rite. This one's called What We Talk About When We Talk About God and in it, Rob "tackles the misconceptions about God and reveals how God is with us, for us, ahead of us, and how understanding this could change the entire course of our lives" (from the Amazon page). I can't think of too many projects as worthwhile as that one! The God which so many people reject - indeed the God which so many Christians talk about when they talk about 'God' - is hardly a compelling concept (or person) and is quite a contrast from who God really is and what God is really like. The task of rendering Christian language about God in terms which accurately convey its meaning and object is arguably the most pressing responsibility of any apologist, theologian, pastor, or activist. 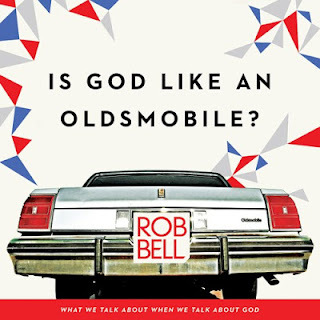 Rob Bell's career, in many ways, has already been about taking up this apologetic task. It appears that in this book he'll simply be doing it more explicitly. I'm looking forward to this one with great excitement!